Dr. Wagnon opened Ravenwood Veterinary Clinic in August of 1990. The equipment and records were from the old Animal Clinic of Eagle River, previously Canyon Pet Clinic. Literally, some of our clients have been clients longer then we’ve been in existence. Dr. Wagnon was born and raised in Alaska. After graduating from Colorado State University in 1985, she practiced veterinary medicine in Anchorage for five years. She has been running sled dogs for over 40 years and maintains a kennel in Chugiak. Subsequently, Ravenwood does a lot of kennel management and athletic dog work. Dr. Hass is a 1991 graduate from the University of Illinois College of Veterinary Medicine. She has been practicing in Alaska since 1991 and has lived in Eagle River since 1992. She has a Pomeranian princess, one cat, a domestic shorthair, and one daughter, a domestic college student. She enjoys working on small animals and exotic pets and emphasizes low stress handling techniques for all her patients. When not at the clinic, she is training for sprint and Olympic distance triathlons. She also enjoys yoga and the practice of meditation. She enjoys gardening, and feels strongly that chocolate is one of the essential food groups. Dr. Wetherell was born and raised in Palmer, Alaska. She realized at a young age that her passion lay in veterinary medicine, and she began dedicating her studies and extracurricular activities toward this goal in high school. She attended the University of Missouri-Columbia for her undergraduate studies, majoring in biological sciences prior to obtaining her Doctor of Veterinary Medicine through the same institution. Her favorite aspect of veterinary medicine is surgery. She currently has one dog, a beagle named Brandi, whom she adopted in January 2018. Outside of work, she enjoys hiking, reading, cross stitch, and binge watching sci-fi TV shows. 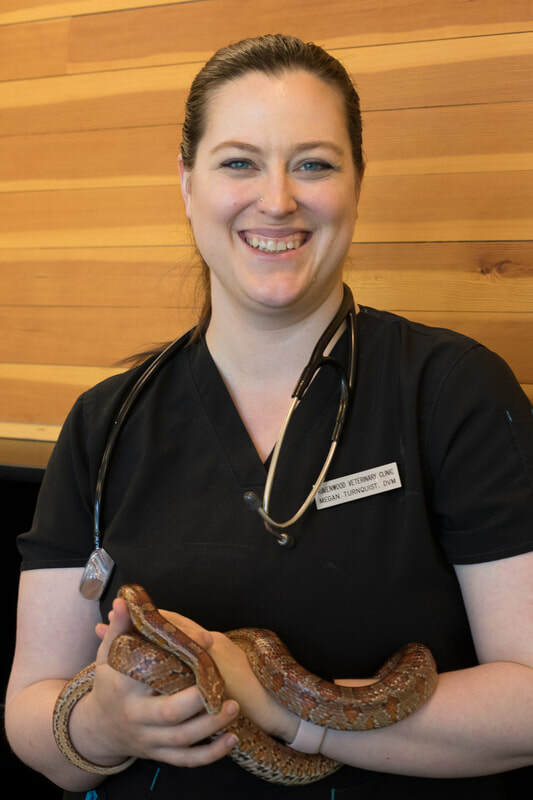 Dr. Turnquist is originally from Oregon, and moved to Alaska in 2016 with her husband, 3 snakes, lizard, dog and cat. Since being here she could not see living anywhere else. She has a special interest in exotics and reptiles, as well as small animal dentistry. Ravenwood Veterinary Clinic has become a second home for her. She loves all of her patients and clients and feels that all of the staff get to have a special relationship with those we work with in our small community. When she is not at work, she loves to spend time outdoors with her husband and their friends hiking, fishing, camping and generally just enjoying Alaska. Dr. Albert is originally from Boston, MA but has lived at Denali National Park since 2002. She graduated from the University of Minnesota College of Veterinary Medicine in 1986, followed by an internship in small animal medicine & surgery at Angell Memorial Animal Hospital in Boston, MA and a 3 yr post-doctoral program at Harvard Medical School. Denny has a special interest in felines and worked for 5 years at the first cat hospital in the US located in Boston. From 1996-2015 she worked as a relief vet licensed in 8 states so she could create a flexible work schedule that would allow her to work as a trail vet on distance & mid-distance sled dog races in AK, the lower 48 and internationally. She served as chief veterinarian for the historic Centennial Running of the All Alaska Sweepstakes Race along with other races through the years in Alaska, Minnesota and South America. Denny spread out her interests in veterinary medicine here in AK to include clinical support in sled dog research studies for 7 years, participation in biannual wolf surveys in the National Park for 4 yrs, and continues to do consulting at the sled dog kennels who patrol in nearby Denali National Park. She is on staff as a small animal clinician at Ravenwood, which she’s been associated with since 2004. Her comment regarding Ravenwood Veterinary Clinic…“The very compassionate practice philosophy generated and maintained by Dr. Susan Wagnon, the owner, is rare and I am fortunate to be a part of it". Dr. Wellman was born and raised in Northwest Colorado living on the family's sheep and cattle ranch. He attended Colorado State University graduating from veterinary school in 1984. After graduation Dr. Wellman moved to Texas where he performed Equine embryo transfers before opening and operating his own private practice in Gainsville, Tx for the next 21 years. A love of the mountains had Dr. Wellman and family moving to Colorado for 4 years before eventually arriving in Alaska- a dream come true. When not practicing at Ravenwood Veterinary Clinic Dr. Wellman finds solitude with his wife Catherine and children at their cabin and experiencing the wonders only Alaska can offer. 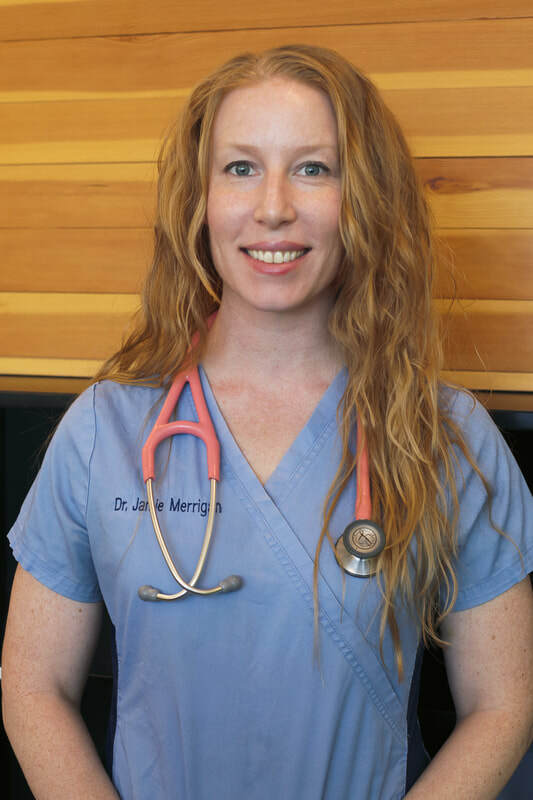 Dr. Merrigan is a 2006 graduate of Cornell University College of Veterinary Medicine and has been living in Alaska since she graduated. 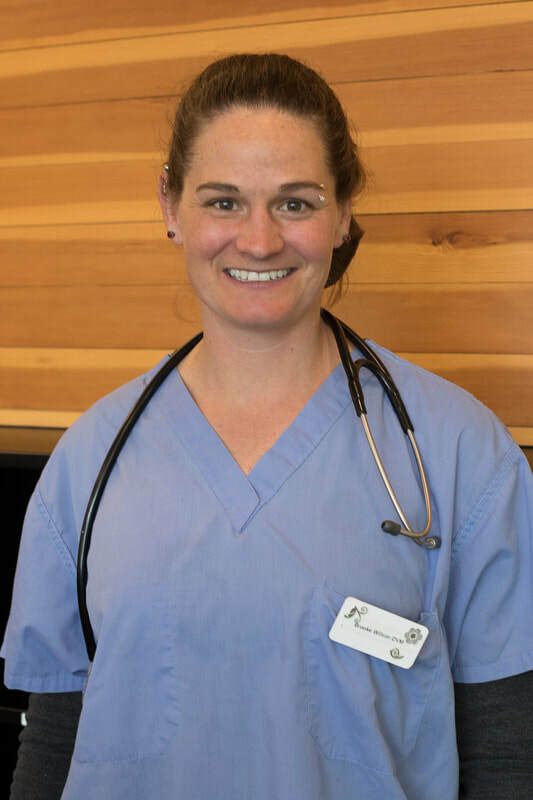 For the majority of her career, she worked in emergency medicine and surgery in Anchorage, but is enjoying the challenges that day practice brings since joining the team at Ravenwood. Her veterinary interests include surgery, small mammal medicine (pocket pets), emergency medicine, and complicated medical cases. Outside of work, she enjoys running and hiking with her dogs, cooking beautiful food, and gardening. 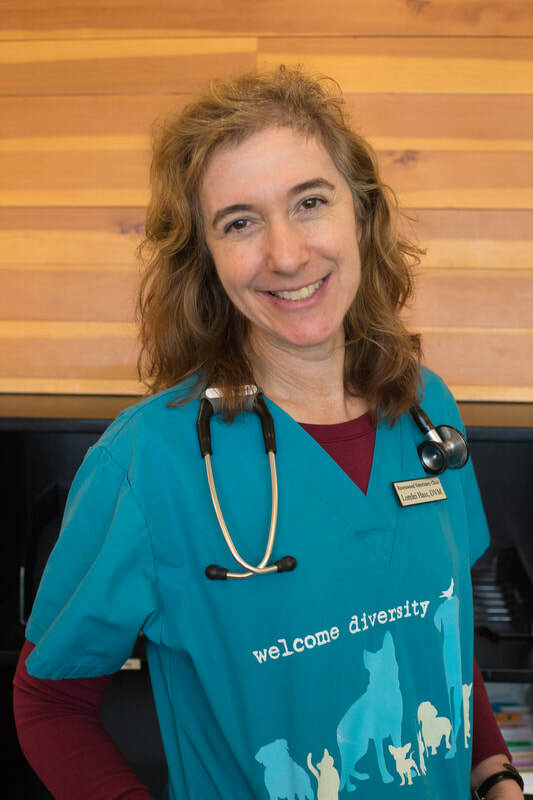 Dr. Wilson is originally from Houston, Texas and lived in New York and Hawaii while in the military .She received her DVM and MS from Cornell after getting out of the Army; Certified Veterinary Acupuncturist from Chi Inistitue; and Massage certification from Equissage. She enjoys working at Ravenwood because the staff and clients truly care about each and every pet, and that makes treating patients much more effective and fun! She enjoys learning every animal's story and helping them to have a more comfortable life. She has a rescue dog and cat at home. They enjoy cross country skiing, hiking, and camping. She also loves to help out at sled dog races.